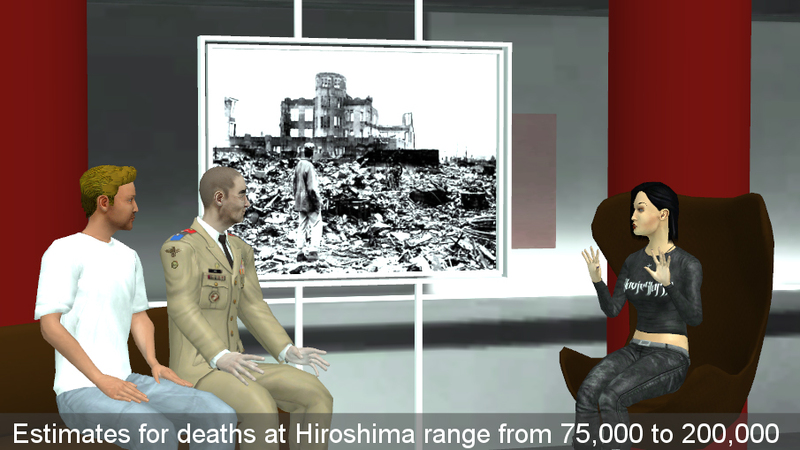 Create a TV-style discussion on a historical topic or event, highlighting different views about it. You could do this by having an expert representing one point of view being interviewed, or as a panel discussion representing many different opinions. This can be done purely as a modern studio debate, or could involve historical figures (e.g. a discussion with an early 20th century scientist on whether eugenics are justified). This is good for moral arguments, particularly those where historical attitudes conflict strongly with modern attitudes, as it enables the students to put themselves into that historical context. This can be done as a group project where the students have to reflect different points of view. If done as a solo project, the student will demonstrate that they can appreciate all sides of the issue and can present the different arguments and views clearly and accurately. Two debate templates. The first a T.V chatshow style set including characters themed on the subject of history. The second, 4 characters standing at lecterns with a studio style backdrop and a video screen. Can be customized to suit a debate of any topic.